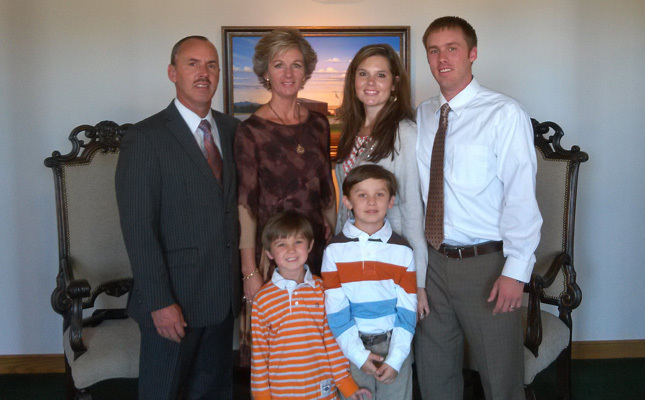 Pastor Randy Johnson, and his wife Tanya, with their son Brandon, and his wife April and their two sons, Landon and Braylon. 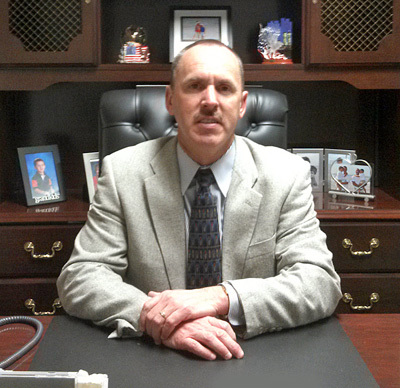 Marler Road Baptist Church has been led by Pastor Randy Johnson as he has been led by God since 1989. On April 1, 1982 as a seventeen year old boy, Pastor Randy repented of his sins and received Christ as his personal Lord and Savior. Pastor Randy Johnson answered the call from God to preach the gospel July 6, 1986. One year later he was licensed by his home church the Little Mountain Baptist Church of Ararat, North Carolina. Pastor Randy was called to come and preach at the Marler Road Baptist Church on February of 1989. One month from his first sermon at Marler Road he was approached about becoming the Pastor of the Marler Road Baptist Church. After much prayer he was led by God to take the position as Pastor. On September of 1989 he was ordained as the Pastor of the Marler Road Baptist Church. Pastor Randy is married to Tanya Watson Johnson of Ararat, North Carolina. God has richly blessed them with one son Brandon, his wife April, and their two boys Landon and Braylon.